And lo, it came to pass that Extinct Boids was published, free to run and squawk in a good bookshop near you. The book launch took place on Thursday at Rough Trade East – a proper record shop, like they used to make them, in the heart of über-trendy Brick Lane in London. There was considerable fanfare. First a Q & A between Ceri and Ralph. Then a Q & A between commentator, illustrator and audience, with highlights including Ralph spilling a jug of water over himself while delivering a passable imitation of the mating cry of the female Dodo. It was that sort of night. Free beer from the good folks at Flying Dog added pepper to the rich boid stew. 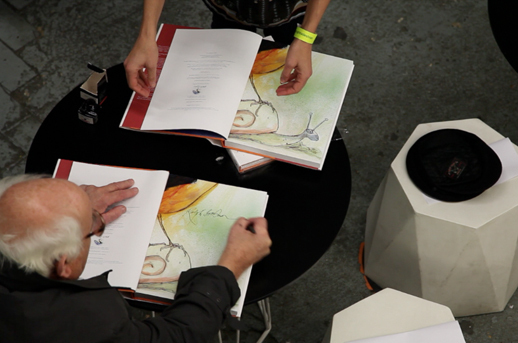 Ralph in action – more book-signing for the boid-loving public. The Boidmasters in action, live on stage. 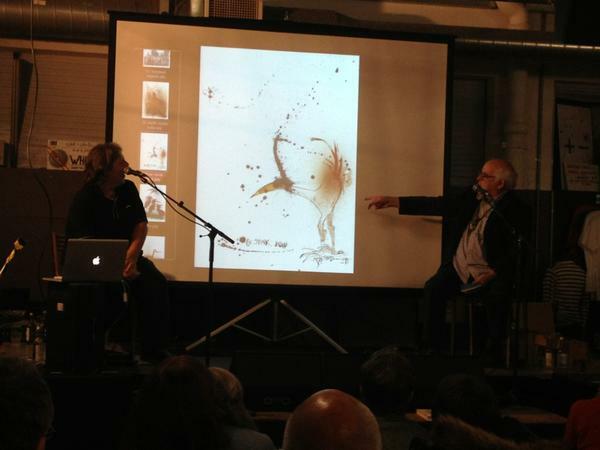 Here, Ralph delivers a high-level probe into the origins of the Ex-Stink Boid. It was good, clean, slightly sozzled fun. And there’s more. Have a look at what my very talented Mum made me this weekend. 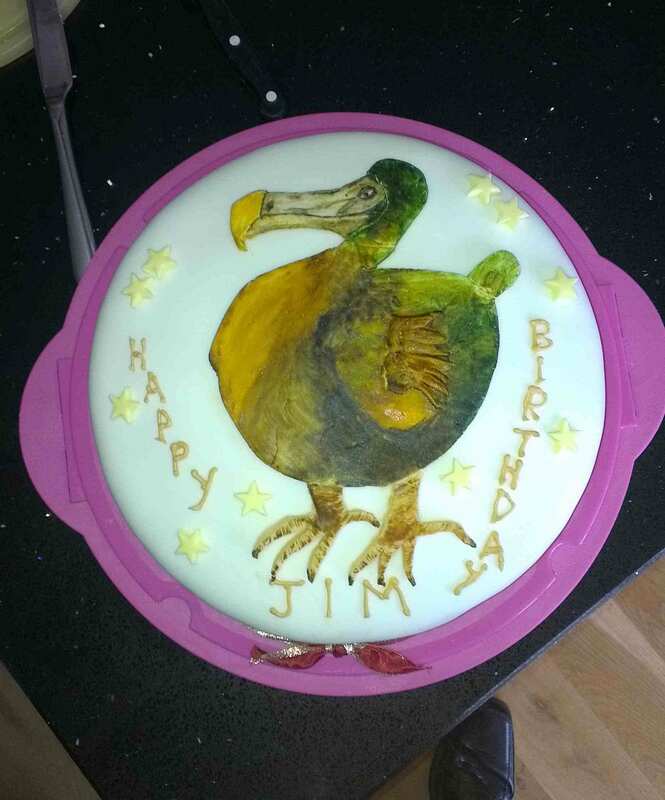 Our cover star, Di Dodo – immortalised forever in the form of tasty sponge and buttercream. Well, not forever, we’ve already scoffed it, but you get the general idea.